Homemade Apple Pie | how 'bout some cake? This evening I was invited to a girlfriend’s house for a potluck dinner. As always, I was thrilled for the opportunity to bake. I took stock of my kitchen, researched some recipes, and finally decided to make apple pie. It’s my way of welcoming fall, which is more a state of mind than anything else here in San Diego. I was determined to make a pie that wouldn’t require ingredients I didn’t already have. 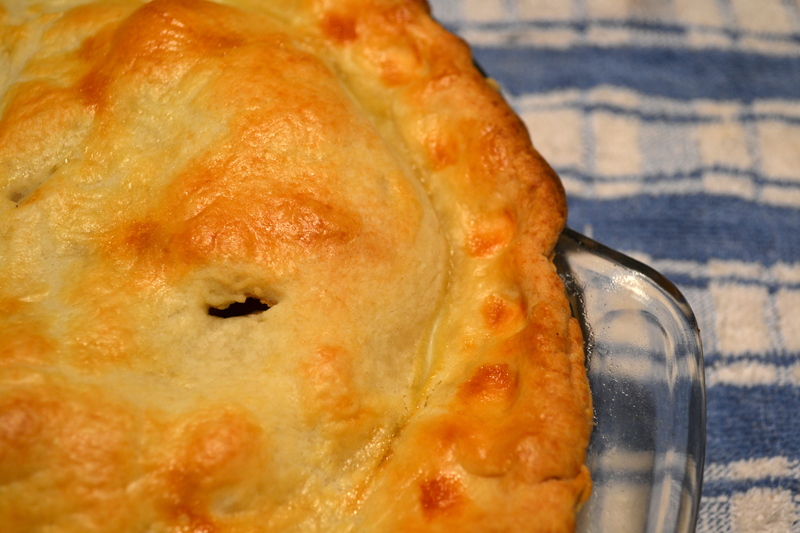 This meant a butter-only crust from scratch, and a slightly sore wrist/forearm after hand peeling half a dozen apples. No pain, no (weight) gain, as they say (ok, maybe that’s not the exact expression). 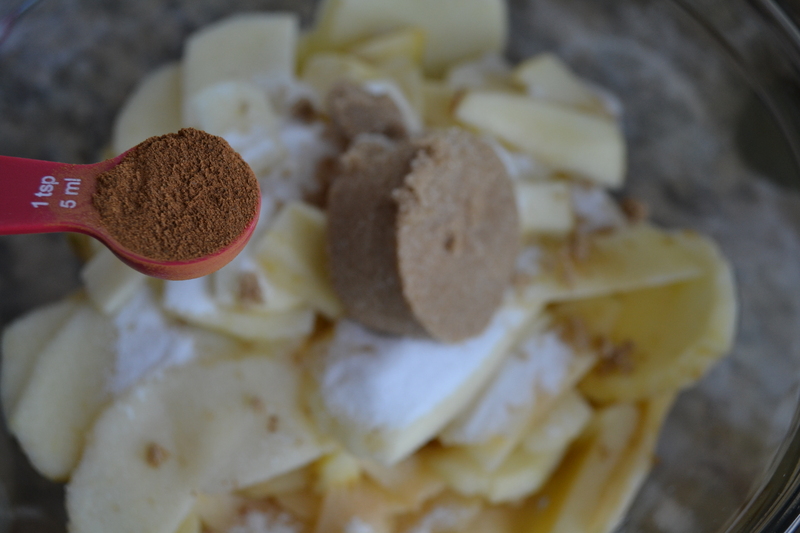 Use a food processor to blend the first 4 ingredients until it is uniform in texture. 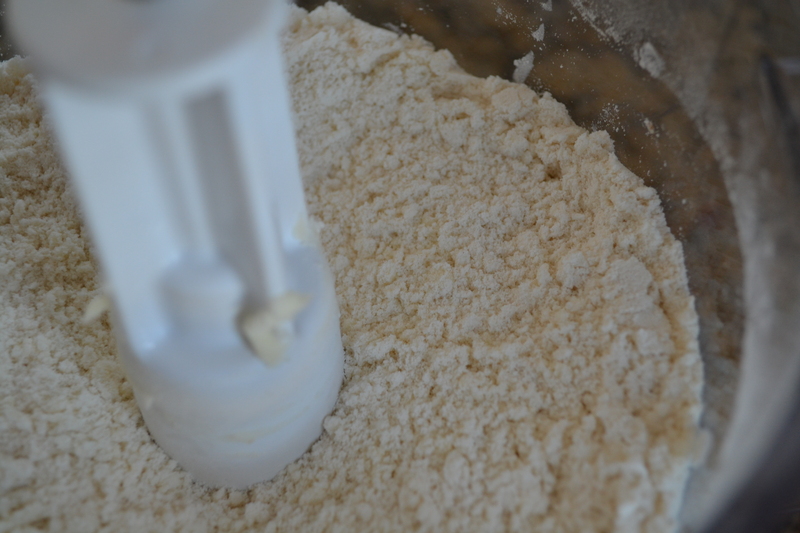 Then, with the machine running, slowly add the cold water until the pastry dough forms one big clump. Divide it in half and thoroughly dust your work surface with flour. 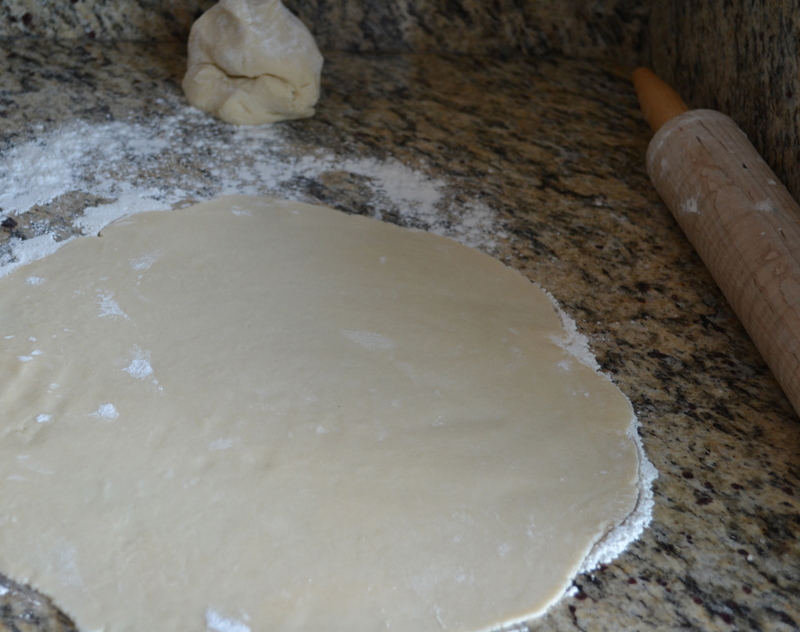 Roll the two balls of dough into equally-sized circles about 1/4 inch thick. Fold them up into quarters, wrap them in plastic, and chill them in the fridge for at least an hour. Now it’s time to start peeling and cutting. I used five fairly large Fuji apples, but next time I would use six. Peel and slice them into piece about 1/4 inch thick. *Note: For those outside the U.S. please visit the original recipe for measurements in metric. 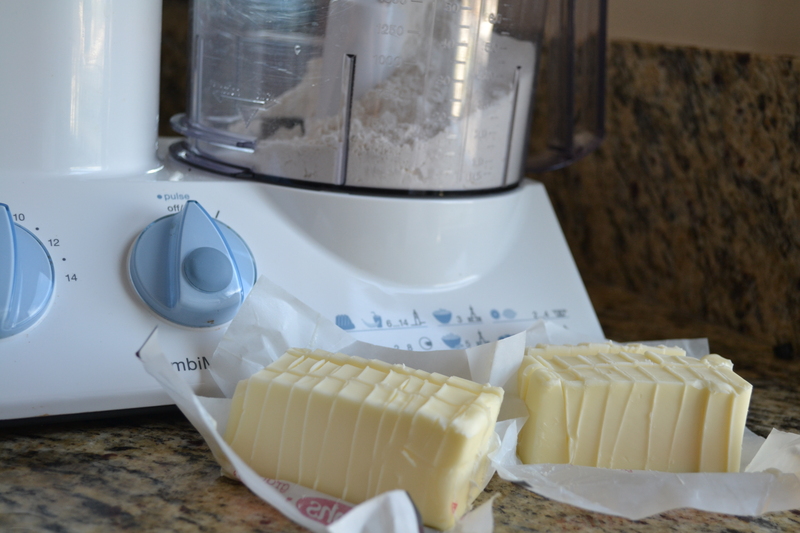 Mix them together (except the butter) and let them sit while you begin to assemble the pie. I spray my pie dish with Pam first, although I’m not sure if it’s necessary. 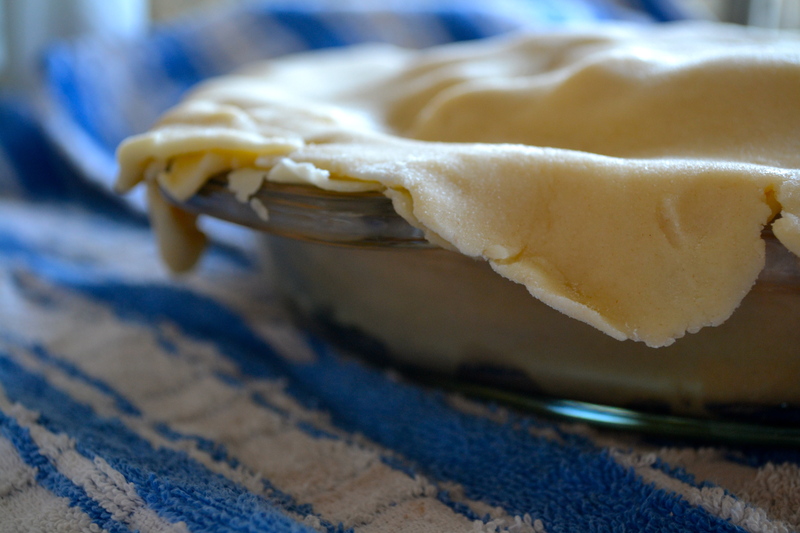 Preheat the oven to 425° F.
Take one piece of crust and unfold it into the pie plate. 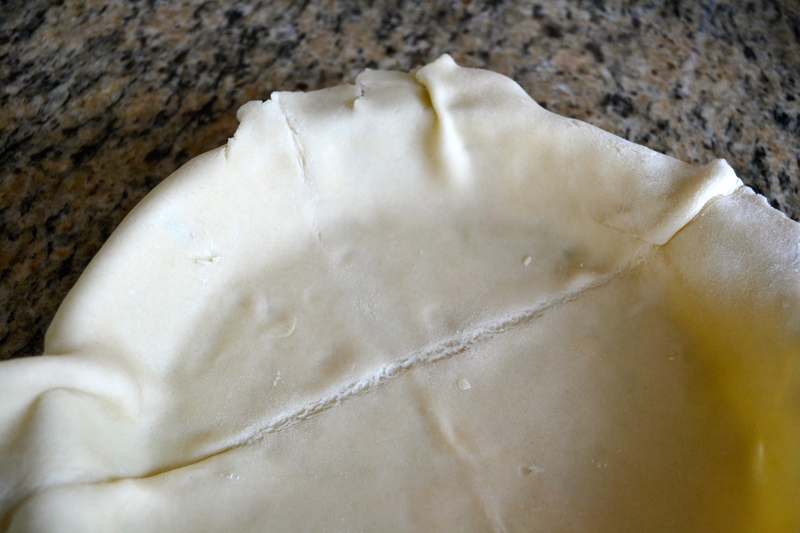 Trim around the edge so that there’s a small, uniform amount of crust overhanging all the way around. Then add the apple mixture. 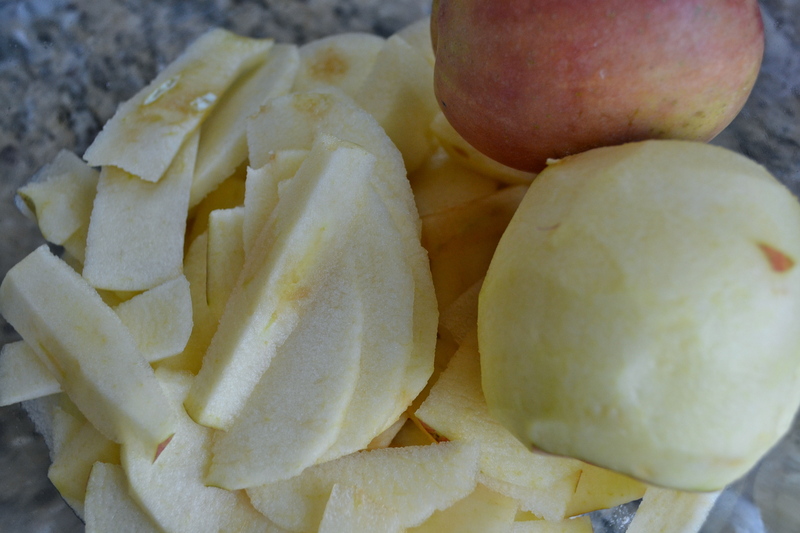 Place little butter chunks in random intervals on top of the apples. 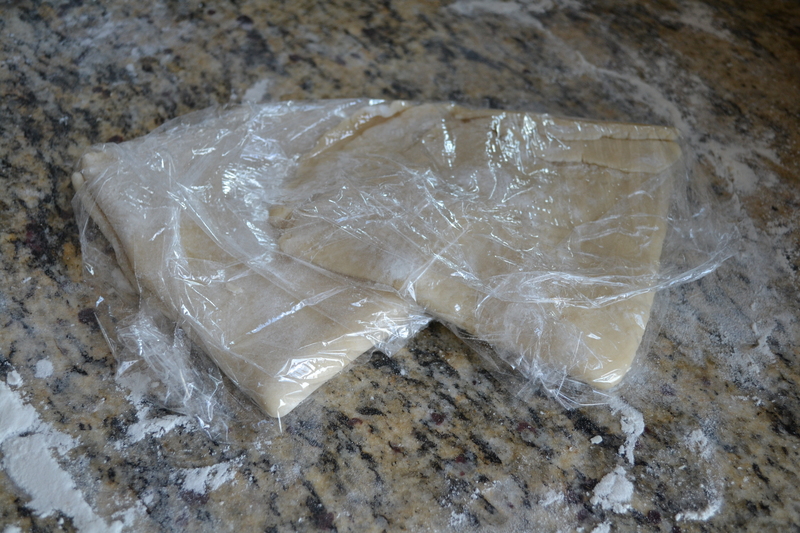 Then unfold the other pie crust on top. Trim the excess again, and fold the top over the bottom to create a neat edge. Use your thumbs or a fork to seal all the way around. 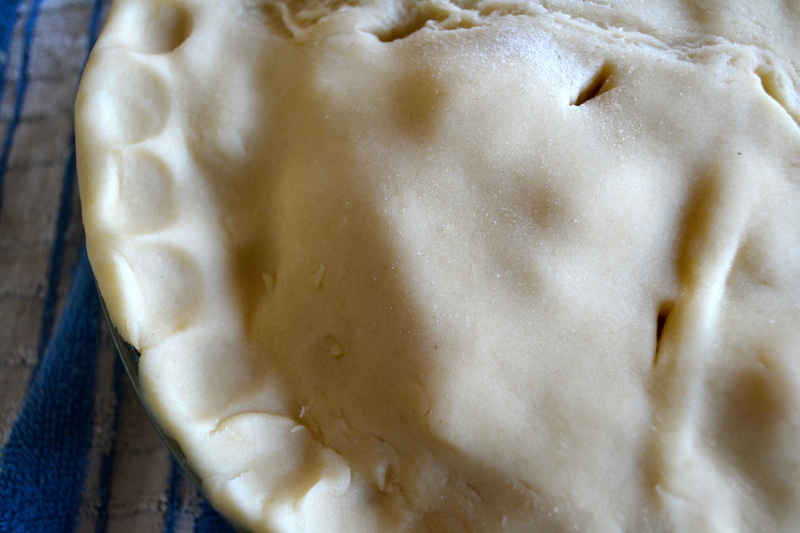 Last, create a few small slits in the top crust so that steam can escape as the pie bakes. Optional: Paint egg whites on the top crust for added shine. Line a cookie sheet with tin foil and put it on the bottom rack of your oven. Put the pie on the rack directly above. This will prevent any overflowing juices from burning on the bottom of the oven. Then set your timer for 30 minutes. After 30 minutes, add tinfoil to the edges of the crust to prevent burning. Bake for another 15-25 minutes. Let cool at least 45-60 minutes before serving. Recommended: Serve with vanilla ice cream. 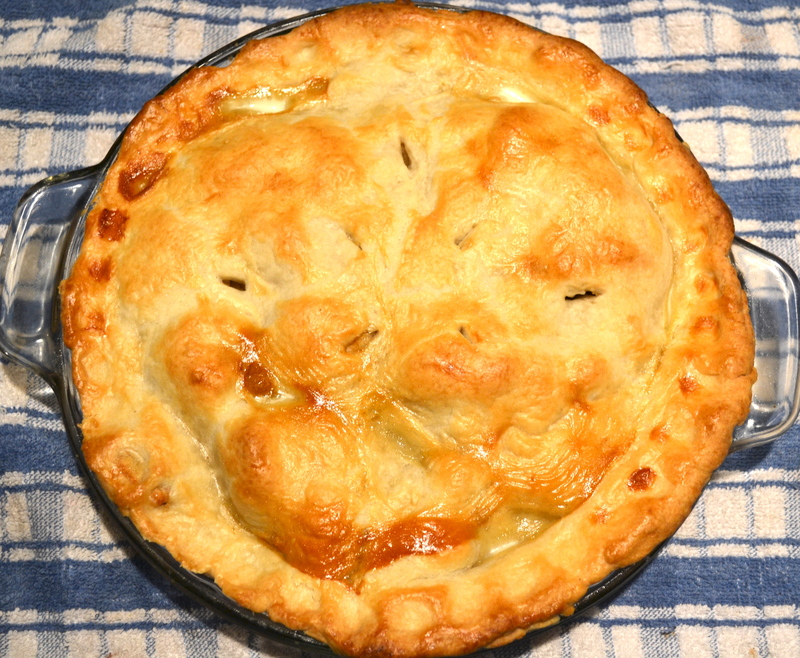 This entry was posted in Food & Recipes and tagged apple pie, apple pie recipe, dessert recipes. Bookmark the permalink. Great minds think alike! This looks sooooo delish–Kudos to you for making your own crust! Apple pie is one of my favorite things about fall- yum! This looks delicious! 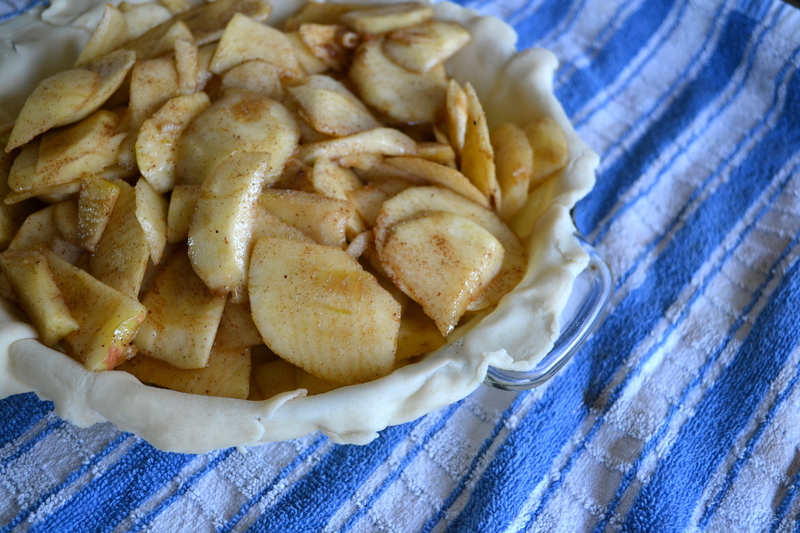 Baking apple pie is on my fall to do list! Thanks for sharing such a straight forward recipe! This looks wonderful. I wanted to make my husband his favorite desert “Apple Pie” now I can thanks to you.